Following the release of the critically acclaimed ‘Film Music’ box set and ‘Irony Of Fate’, this is Mikael Tariverdiev’s score of 1975’s ‘Olga Sergeevna’. "Bringing the composer close to recognition in the west, the magisterial score and improvisations are taken from the Soviet TV Film series ‘Olga Sergeevna’ which was directed by Aleksandr Proshkin. Based on a story by Edvard Radzinsky, the show featured several film stars with the lead role of Olga played by screen star Tatiana Doronina. Olga is a marine biologist brought from a small town to Moscow by her mentor. As the story unfolds there’s a tangled web of professional, romantic and emotional relationships with various men. The main theme of the series is that a woman can dedicate her life to her career and feel satisfied, even when she is not particularly happy in her personal life. In the USSR, and globally, it was a revolutionary concept in the 1970s to set a TV drama around the life of a female scientist. As many critics have noted, his music, like the theme of the TV series, contradicts the lazy prejudice that any popular culture which escaped the Soviet censor could not be ground breaking or the equal of anything being made in the West. The scores improvised baroque jazz inflections were created from improvised pieces lead by Tariverdiev on keyboard, celeste, cimbalon, harpsichord and piano. Here he’s accompanied by Josef Kobzon with the Orchestra of Cinematography conducted by Emin Khachaturian along with double bassist Shakhaliev and Livshin on drums. 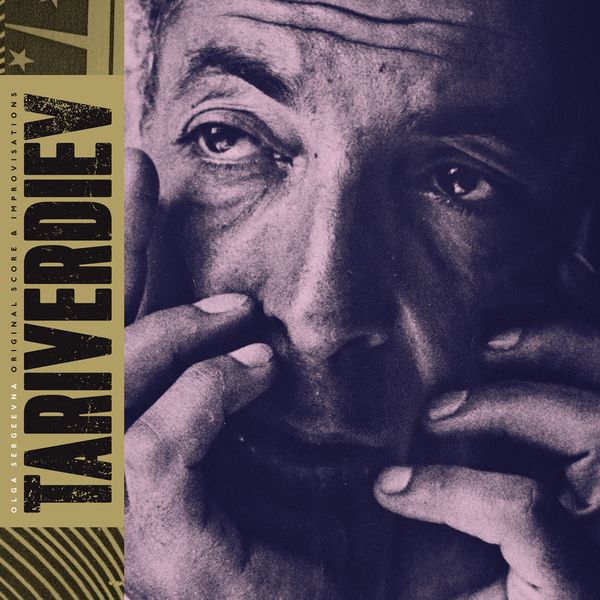 At the time of its release, Tariverdiev had recently scored the popular ‘Seventeen Moments Of Spring and was about to work on ‘The Irony Of Fate’ when Proshkin submitted music from the score for the Union Of Composers. Having won the award, Tariverdiev travelled to LA to receive it and the offers for further film composition work came flooding in. Unfortunately, he was not granted permission which was most likely rooted in an act of solidarity with friend and dissident director Mikhail Khalik that eventually saw him banned from the leaving the country for over ten years. In the decade that followed he had become head of the Composer’s Guild of the Soviet Cinematographer’s Union, proclaimed as the People’s Artist of Russia and in 1996 before his death had won 3 Best Composer Nika awards." Deluxe double vinyl available for the first time outside of Russia. LP gatefold with DL card included.